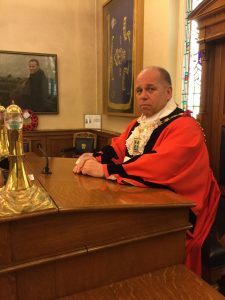 Mayor of Sefton, Cllr Dave Robinson, will be taking part in a daring abseil in support of a local charity this weekend. Cllr Robinson will be joining 16 others in the Sefton 4 Good team, including colleagues from WEA North West, Sefton Council, Sefton CVS and members of the community, in the challenge at Liverpool’s Anglican Cathedral on Saturday August 18. The volunteers will face a 150-foot, free-fall drop over the main entrance to the iconic building, all to raise money for good causes in Sefton. Sefton 4 Good is a fundraising initiative from Sefton CVS which provides small grants to local voluntary, community and faith groups across the borough. This year Sefton 4 Good has awarded almost £15,000 in grants to 25 groups, including the Plaza Cinema in Waterloo. Mike Howlett, Senior Citizenship and Volunteering Officer for Sefton CVS, commented: “Sefton 4 Good is all about encouraging borough residents to support local causes that make a real difference in their immediate community.